Bonnie M. Roso, age 75, of Watertown, SD, passed away on Sunday, November 18, 2018, at the hospital in Watertown. She was the widow of Merlin Roso. Memorial services will be at 11:00 a.m. on Thursday, November 29, 2018, at Crawford-Osthus Funeral Chapel with a visitation prior to the service. Rev. Janet Miller will officiate. The family is requested to meet at the chapel on Thursday by 10:30 a.m. for a prayer service. Bonnie was born on March 3, 1943 in Watertown, SD to Calvin L. and Julia (Adolph) Howey. She grew up in the area and graduated from Watertown High School in 1962. Bonnie married Merlin E. Roso on June 24, 1964 in Watertown. Bonnie worked at St. Ann’s Hospital, Midland Life Insurance, Shopko, and Metz Bakery for quite some time. After her retirement, she continued to make her home in Watertown. Bonnie was a member of Grace Lutheran Church. Bonnie is survived by her son, Eric Roso, and her daughter, Stephanie Renmoe, both of Watertown; her sisters: Rosella E. “Zella” (Willard) Rogge, of Huron, SD, and Joyce R. (Arnell) Raastad, of Watertown; her sisters-in-law: Lois Howey, of Watertown, and Geraldine Howey of Bison, SD, and many nieces, nephews, and cousins. 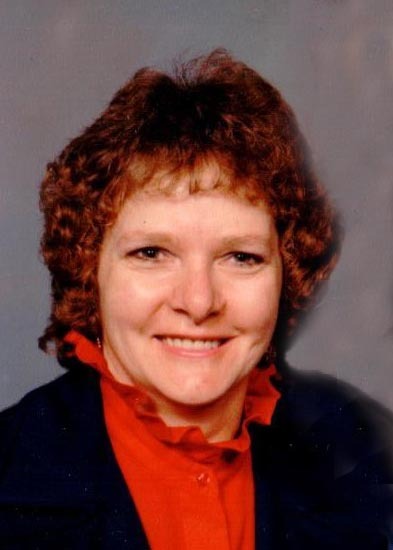 Bonnie was preceded in death by her husband, Merlin, on July 10, 2015; her son, Jeff Roso; her grandson, Scotty “Scooter” Wilcox; five brothers: Calvin J. Howey, William John Howey, Walter P. Howey, Marton E. Howey, and Robert L. Howey; and three sisters: Margaret S. Lauseng, Ruby M. Palo, and Phyllis R. Schamens.